Margie's Crafts: $25.00 starter kit!?! My question is why not try it? No risks, no strings, to get this "key to the door" to all the great demonstrator perks and DISCOUNTS! Me and my team are very supportive and able to help you along the way with great ideas, inspiration, friendships etc. 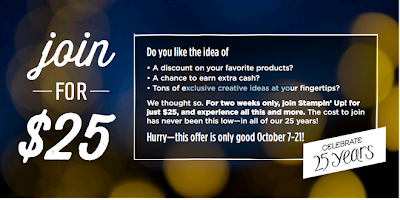 · This offer is only good for two weeks, so take advantage of it right away! · Have fun with friends while making a little extra money during this special two-week offer! · You will get an extra 10% discount on your first order of $150 or more when you place your order in the first 45 days of being a demonstrator. That means you can use the money you saved on the $25 starter kit to get 30 percent off your first order of Stampin' Up! goodies! Do wait much long as this deal is only good for two weeks. 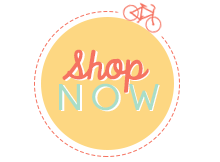 Click here to get your free items and all the great discounts and benefits that Stampin' Up! and my team can offer you!